Sheikh Abdullah Ibrahim Mohammed Al Subeaei was born in Al Onayza City in 1923. He was only two years old when his father passed away in Madinah Al Munawwarah. His brother, Mohammed, was eleven at the time. In his dedicated pursuit of job opportunities during economic hardship, Al Subeaei’s father was able to instill in his children a strong work ethic, while his loving mother, may she rest in peace, played an essential role in their upbringing. Due to the economic downturn, many people migrated to larger cities such as Hijaz, Damascus and India, hoping for better employment opportunities. Al Subeaei’s brother Mohammed did the same, following his uncle Nasser to Makkah to work. Sheikh Abdullah started his education from home, watching and learning from his mother, who was a role model in her excellent command of language and speaking abilities, and her ethics in dealings with the family and neighbors. At the age of six, he began his primary education in Al Onayza city, where he received an adequate education for that period. In Makkah, the family reunited where Abdullah received better education opportunities, as the people of there were known for their interests in the studies of calligraphy, writing and mathematics. He joined the famous school of Sheikh Al Halawany for his pursuit of education in addition to attending religious lessons in Al Haram Al Shareef. It was during his studies that Al Subeaei started his business career, entering into a partnership with one of the traders in Makkah, where they launched a fabric and textile store in the Jodariyah Souq. Taking heed of his uncle’s advice, a few years later Abdullah joined Mohammed in business ventures in Makkah, specializing in trade and distribution. Through their interaction with pilgrims, both gained a broad perspective on the culture and customs of people around the globe. In 1933 the brothers founded the Mohammed and Abdullah Ibrahim Al Subeaei Company, and expanded their business after moving it to Jeddah to include multiple activities such as money exchange, real-estate, food products, contracting, livestock trade and textiles. They were careful to apply good Islamic values as a base for their business dealings with special emphasis on honesty and integrity. This earned them a trusted reputation in their industries and aided them to excel in impressing their clients. Before long, many success stories began pouring in and by Allah’s will, their business flourished, with the real-estate and banking sectors becoming the two main activities. Eventually the brothers became two of the main founders of the newest bank of the Kingdom, Al Bilad Bank. 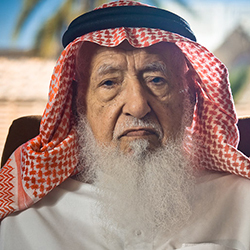 In 2010, Mohammed and Abdullah mutually agreed to split their investment and fortune after a partnership that lasted 78 years, and one that was based on tolerance, perseverance and Islamic values. This would all be passed on to their sons as a treasured legacy. The Abdullah Ibrahim Mohammed Al Subeaei (AIMS) Holding was then established as a holding company that owns and manages a diverse portfolio ranging across the investment, property, industrial, education, retail and hospitality sectors. It is noteworthy that the holding company’s activities now cover all major cities in the Kingdom, while upholding the reputation of excellence and success in the Kingdom, qualities associated with both names (Al Subeaei and AIMS). To this day, the Abdullah Ibrahim Mohammed Al Subeaei (AIMS) Holding remains a firmly grounded business with a long-standing heritage of generosity, success and accomplishment.